Paul Ryan spoke out against Republican nominee Donald Trump ALL YEAR. Ryan announced in October he was pulling his endorsement of Donald Trump. He held a separate press conference to tell reporters he would not campaign with Donald Trump. Paul Ryan cannot be trusted. He is loyal to the elites and not the people. 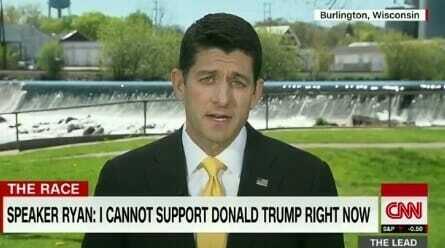 Paul Ryan is pro-amnesty, open border, pro-TPP and anti-American worker. Donald Trump won an historic election on Tuesday winning over 300 electoral votes. On Wednesday Rep. Chris Collins (R-NY) went on with Lou Dobbs on Wednesday after Donald Trump’s historic win. Collins told Lou Republican lawmakers will vote for speaker NEXT WEEK! …Collins said Ryan will likely run unopposed. Republican lawmakers hate their base.